Photo by MicialMedia – thank you! No doubt about it. We were a bit disappointed that we did not make it to Berlin. That our final assignment was – so far – the last post about the Knight-Mozilla learning lab, which was however a great experience. This was at the end of August. The following weeks Corrigo got a bit out of our focus. To get us back on the track, what could have been better than a proper deadline? Thanks to Darren and Ali we got the chance to present Corrigo on the 33rd Webmonday in Brotfabrik, Frankfurt (very nice city by the way). For those who missed it – no worries. 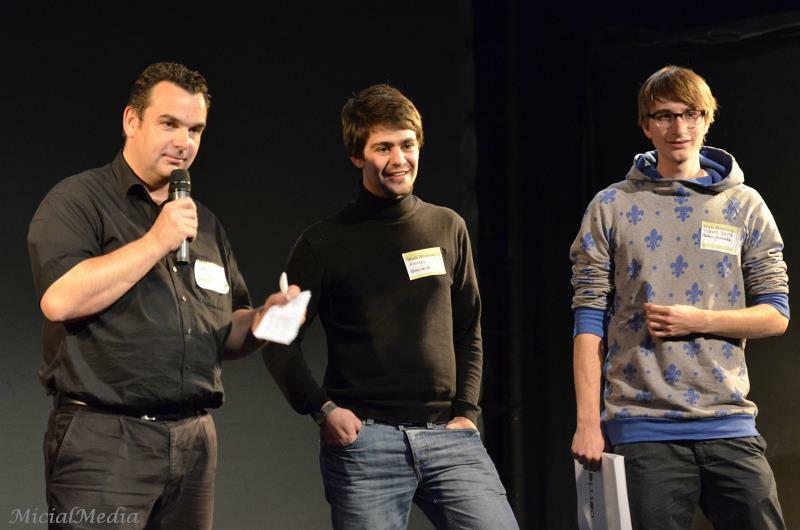 The guys from sysops.tv recorded the 18 minutes we spent on stage. So watch the video! For those who saw and liked it, and for those who want to make Corrigo “hacken” as much as we do please let us know beneath in the comments or drop us a line: make_it_hacken@corrigo.org. We are thinking about organizing a hackathon by the end of 2011 or the beginning of 2012. You can push these thoughts forward by saying “yes, yes, yes I want to hack with you” or by saying “yes, yes, yes here’s some money to buy some pizza for all the awesome hackers” or by saying “yes, yes, yes I got the perfect location for this crazy hackathon”. This entry was posted in presentation and tagged corrigo, frankfurt, presentation, talk, webmontag. Bookmark the permalink. yes, yes, yes I want to hack with you!